This year, my class welcomed a new addition that I have NEVER EVER done before....a fish tank. I have to tell you, while my students were (and are still) amazingly excited about the whole thing, I, on the other hand, was (and still am) quite nervous about it all. I mean, there is a living, breathing ecosystem in my room that needs specific attention to ensure all of those living, breathing beings do not end up belly up. Honestly, it is a huge undertaking that I just didn't think I could do. But you know what? It is working! I thought I would use this post to share with you all how I got my tank up and running and how we are incorporating it into our 5th grade class. While I realize that a fish tank is calming and fun to own, the entire point of having this tank was to incorporate some academics into our room in a meaningful way. 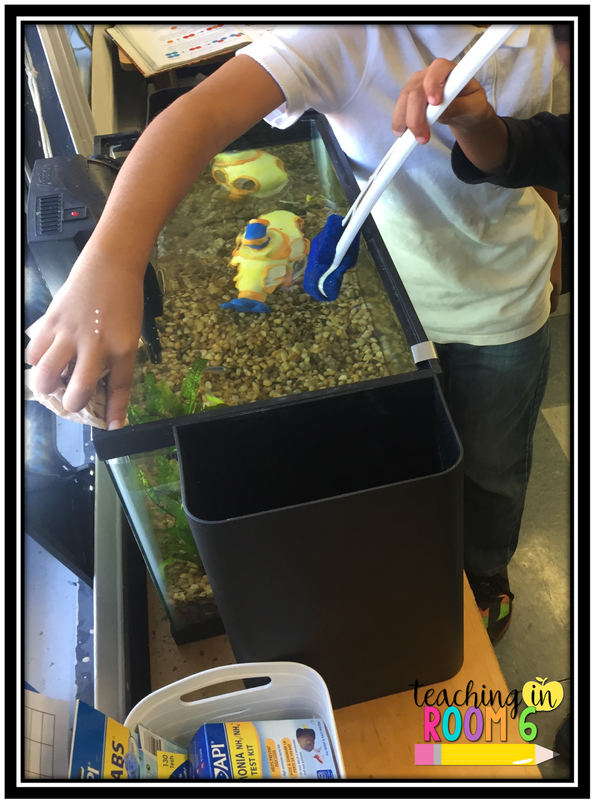 I wanted to bring more hands-on, real life science, so we began using these awesome lessons I found from the Florida Aquarium. It took us step by step on how to really make sure that our tank was running smoothly as well as gave us some great advice for how to care for our tank. Using these lessons as a guide, I set up a feeding schedule, in which the kids would take turns feeding the fish, as well as note the temperature of the water. I also created a fish observation form, where once a day the students just observe the fish behaviors. They make note of anything interesting, as well as draw pictures of the fish. So far, other than the beginning observations (which I plan to use in a few months to note changes over time), we have also ventured quite a bit into the Nitrogen Cycle. With this being a living ecosystem, and our wish to keep the fish alive, we have had to learn how to keep the ammonia levels low. 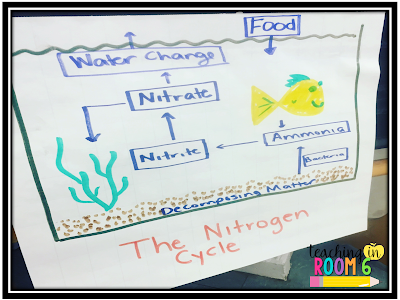 After learning about the nitrogen cycle, the students decided that we probably needed a plant to help keep the good bacteria flourishing. Students set out to research (on their own) which plants would help the most, how to keep those plants alive, and how to get them growing in our aquarium. Once a week, groups of students are also in charge of cleaning the tank, getting the algae off the glass, and measuring ph levels. If levels are too high, they go to the computers and figure out what to do to fix it. So far, there has been a LOT of buy in and excitement surrounding the fish tank. Kids are taking research on themselves, observing and figuring out how to keep our fish alive, and using our science standards to do it. I am very, very pleased with what is going on. We also have an aquaponics component to this fish tank...but I think I will leave you here for now. 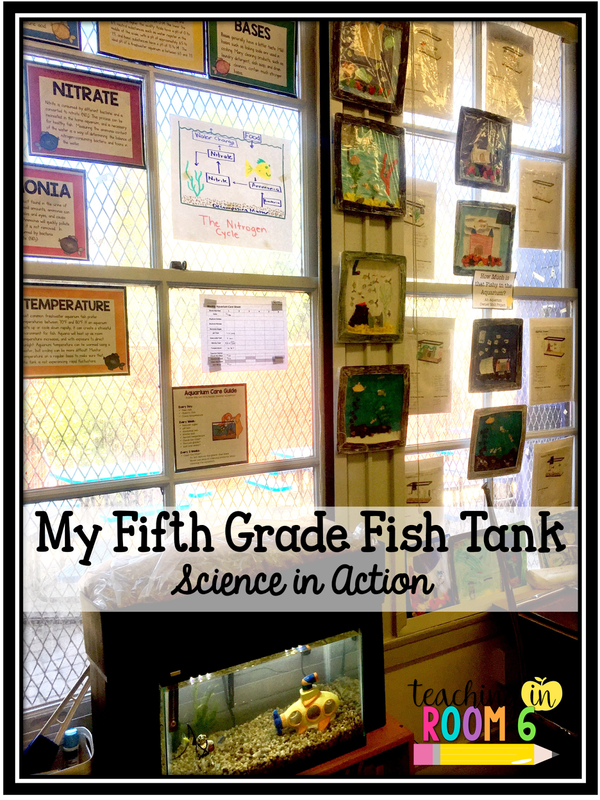 (as this alone was probably enough information ;)) Do you have a tank in your classroom? How have you used it as a learning tool? I just received a free pet-in-the-classroom from petsupermarket. It gives you all the items you purchased for free. 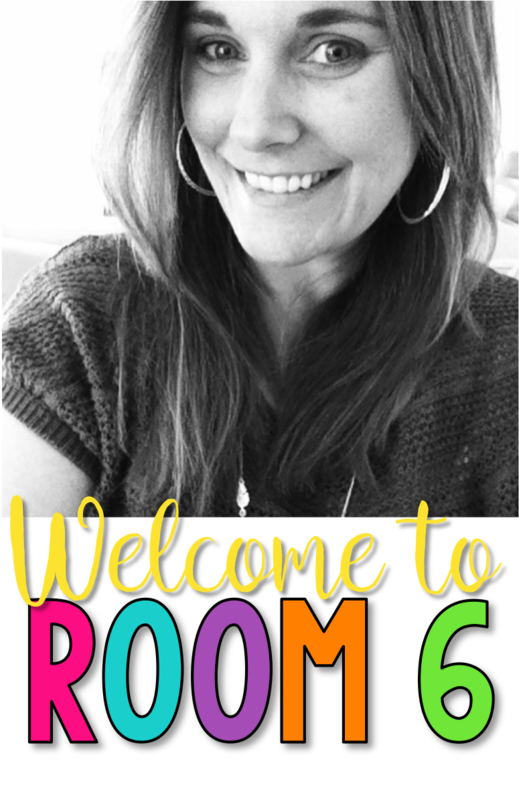 I loved reading about your set up and how you are using it with your class. I can't wait to get started with mine. Thank you for sharing. Hello! 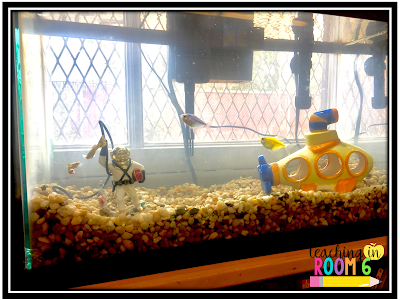 Just got our aquarium up and running last weekend, starting with two guppies to get the bacteria going. Question: WOULD YOU BE WILLING TO SHARE YOUR DOCUMENT FOR MAKING OBSERVATIONS AND CHECKING ON THE AQUARIUM'S CHEMISTRY, TEMP, ETC.? Thank you! Great fish tank setup! I loved reading about your set up and how you are using it with your class. I can't wait to get started with mine. Thank you for sharing. Do you intend for adding some more live plant? Hi, I just got an AquaSprouts Garden (aquaponics) through Donors Choose. 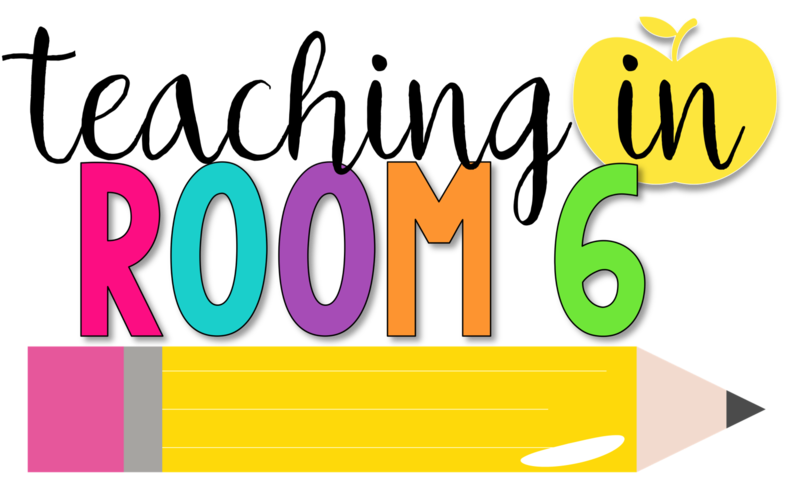 It looks like you have the same set-up... do you know of a website that has lesson ideas for 5th graders? Thanks! I just found this and thought I'd share.